Modern vehicles often have very sophisticated information/entertainment systems built into the dashboard. In a lot of cases it would be just about impossible to change this and besides, why would you want to? They usually look great and offer large clear displays with all the features you could want. A great example is the VW Golf 7.5. With DAB, Car Play, USB, navigation and vehicle information interface it has everything, except great sound and we can easily solve that! Whilst this is still a great car; older vehicles may not have all the features you want. Firstly, the entertainment system could do with an upgrade. This may not be a simple task however as there may well be complications such as factory fitted amplifiers, steering wheel controls and dashboard information displays. A perfect example is this 2010 Bentley Continental. The car is absolutely stunning but the entertainment system is woefully out of date, the navigation is missing a great deal of new roads; there is no IPod / IPhone support; no music streaming and no DAB radio. There are however controls on the steering wheel for volume and modes, a rear mounted multi speaker amplifier and a screen that displays climate controls as well as vehicle information. While we would like all the modern source capabilities we would not like to lose all the comfort features. Fortunately we have a lot of experience with these cars and have developed a fabulous solution. We can now seamlessly integrate new top of the range units to the Bentley to give you every modern convenience while retaining all relevant vehicle information displays using a state of the art, custom panel. Bentley Continental or Flying Spur right up to date. As always anything we do can be reversed to return the car to standard trim at any time. Another prime candidate for an upgrade is the Mercedes. These often come without Bluetooth or navigation and certainly no digital radio. Once again, here at Car & Home Stereo we have solutions for all types to bring them right up to date. Adding these features adds a whole new lease of life to the car. Simple to use, elegant and seamless integration to the vehicle controls means you will enjoy all the luxuries of a new car without spending a small fortune. 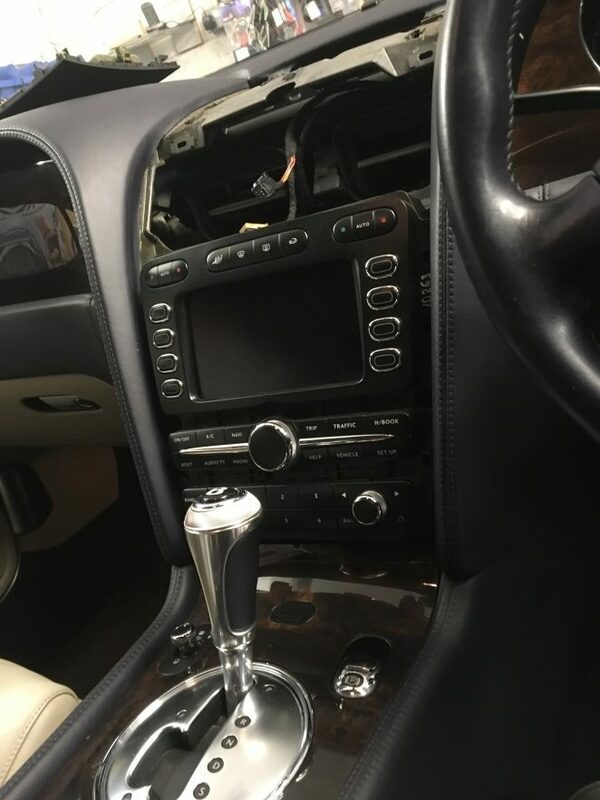 Of course upgrades are not just for luxury cars and whatever you drive will benefit from our careful attention. If you would like to know more about any of our upgrade options for your new or old vehicles please call on 01625 432707 or pop into our shop on Sunderland Street in Macclesfield. Posted in Car & Home Stereo, Custom Fittings, Sound System and tagged Audio Technician Cheshire, Audiovisual Cheshire, Audiovisual Macclesfield, audison, Bose, Bose SoundTouch, Bose Speakers, Car Audio, Car Audio Cheshire, Car Audio Macclesfield, Car Audio Northwest, Car Audio Technician Manchester, Car Audio Technician Northwest, Car Fitting Macclesfield, Car Sound Engineer Macclesfield, CarAudio Chesire, Cheshire, Cheshire Car Sound, Custom Car Cheshire, Dynamat, Home Sound System Macclesfield, jl audio, Macclesfield, profi speakers, Sound Cheshire Car, Sound engineer cheshire, Sound Engineer Macclesfield, Sound fitting car macclesfield, sound proofing, Sound system cheshire, sound system fitting, Sound System Macclesfield, sound technician, speaker, speakers, subwoofer, Subwoofer Macclesfield, Subwoofers Macclesfield, upgrade.